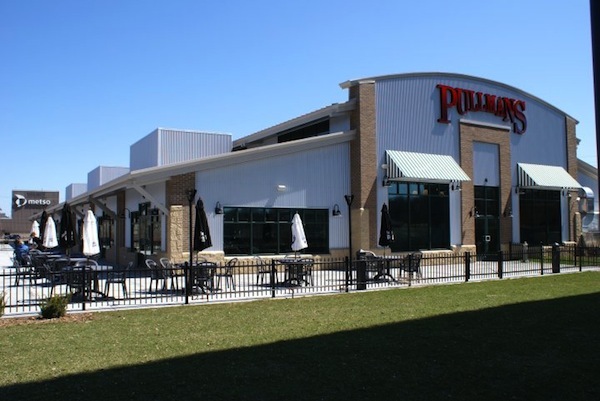 Posted on Aug 17, 2011 by Appleton Downtown Inc.
One of the most popular riverfront restaurants in Appleton, Pullmans at Trolley Square is known for its large outdoor patio and scenic views of the Fox River. Owner Trevor Reader thinks it is a combination of the great food and unique atmosphere that draw people to Pullmans, Nan Sorellas and Trolley Square Waterfront Banquets. All three are located in the 2006 building dubbed "Trolley Square" to represent the history of trolley cars that originated in Appleton. 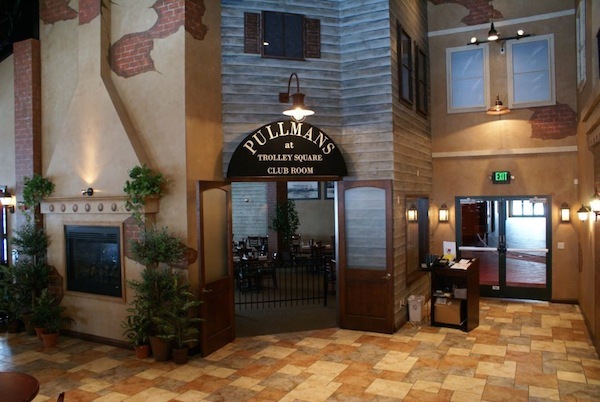 "A Pullman was an upscale trolley car, so the restaurant reflects both the history and quality of the venue," said Reader. An actual refurbished trolley car is on display inside the building to represent the trolley cars that operated here in the early 1900s. A movie clip of the last trolley run in Appleton is part of the display. "The trolley and the Fox River are great pieces of our history, and we like to help share that story," he said. The banquet facility and Nan Sorellas wine bar are both owned and operated by the Reader family. They also own several other successful establishments in Appleton. His parents, John & Nancy Reader, opened Good Company in 1980 and Beefeaters in 2007. Trevor's sister, Dana, coordinates the marketing for the family business. According to Trevor, the wine bar was named by his mother. "It means sisters in Italian," he said. "She wanted it to feel like an Italian-style bistro...a cozy place where you could get together with friends,"